Have a successful medical hypnotherapy practice by applying this knowledge to your clients’ issues. Enjoy the satisfaction that comes with assisting clients toward health. Learn how to build your professional practice by working in conjunction with doctors, chiropractors and other health care professionals. Work with dentistry, painless childbirth, pre-and post-operative conditions, AIDS and cancer patients. Help your clients eliminate allergies, manage pain and disease and strengthen their immune systems. 50 hours of extensive demonstrations, exercises, practical applications and readings. Up to 22 hours of step-by-step how-to DVDs of in-depth procedures & demonstrations. A comprehensive 150 page “Medical Hypnotherapy Workbook” which includes hypnotic scripts, forms, releases, and marketing strategies to help you network with health care professionals. The “Medical Hypnotherapy” certificate of completion suitable for framing. The professional title of “Medical Hypnotherapist” which can be used in your promotional materials. Introduction to Medical Hypnotherapy: Global Formula for Working with Disease; The Interview, Determining Beliefs: Working with Beliefs, Integrating Conflicting Beliefs. The Interview and Determining Beliefs (continued). Developing Trance Phenomena and Suggestibility: Trance Ratification/Suggestibility Tests, Guidelines for Inducing Trance Phenomena and Suggestibility, Inducing Arm Levitation, Structuring Suggestions for Arm Levitation, Trance Ratification Script, Inducing Glove Anesthesia, Glove Anesthesia Script, Ideo-motor Signaling. Hypnotic Scripts and Demonstration: Sleep Disturbance, Sleep, Burn Injuries, Pre and Post Surgery, Multiple Sclerosis, Journey into the Body. Pain and Disease Management Techniques: Pain Management Defined, Imagery-Distortion, Analgesia or Anesthesia, Manipulate Elements, Alter the Quality, Displace the Locus, Control Room in the Mind, Gate Control Theory; Communicate with the Body, the Pain or Disease, the Parts, the Higher Self, the Future Self; Regression, Self Hypnosis. Specific Applications for Pain and Disease Management Techniques: Hypnotic Anesthesia, Hypnotic Childbirth, Protocol for Six Sessions, Hypnodontics, Allergies. Life Threatening Diseases: Self Induced Healing, Dr. Carl Simonton’s Whole Person Approach, Program for Working. Life Threatening Diseases (continued): Death and Dying, Meditation. 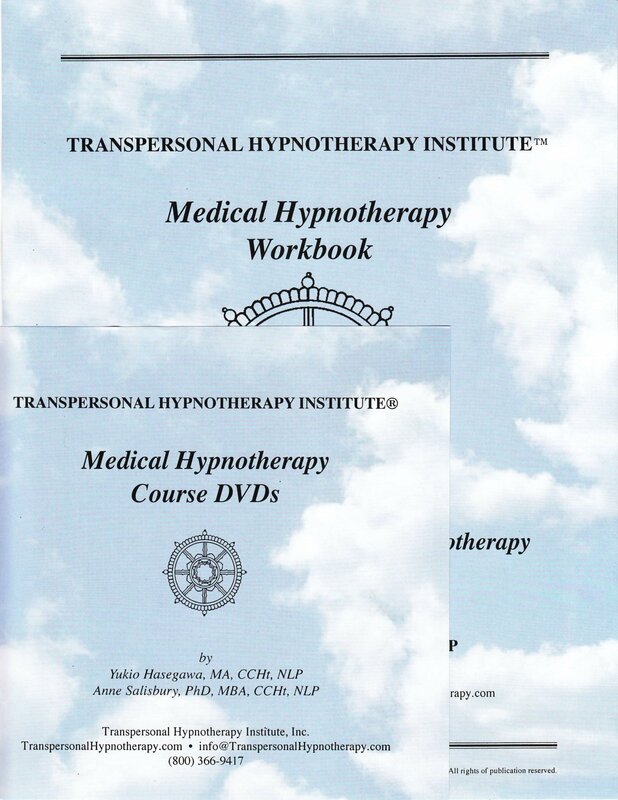 Marketing Medical Hypnotherapy: Marketing Medical Hypnosis, Example Forms, Policies, Progress Notes, Letter for Approval.